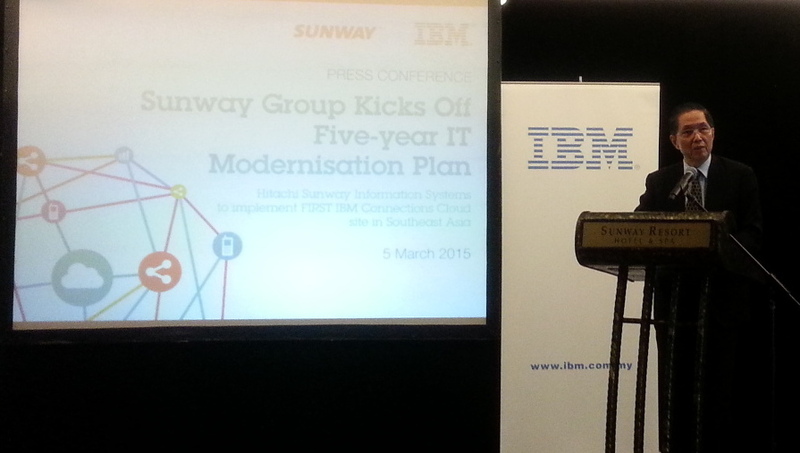 Today was an exciting day as Sunway Group announced their plans to modernise their IT environment and expand their IBM Collaboration Solutions investment throughout the group. For the IBM Collaboration Solutions team here in Malaysia and across the region, the official announcement is a culmination of over a years work to successfully demonstrate the value of IBM's Collaboration platform in an extremely competitive evaluation of Sunway's existing systems and future requirements. Needless to say, the usual suspects were heavily involved in their attempts to lure away one of IBM Malaysia's marquee customers. 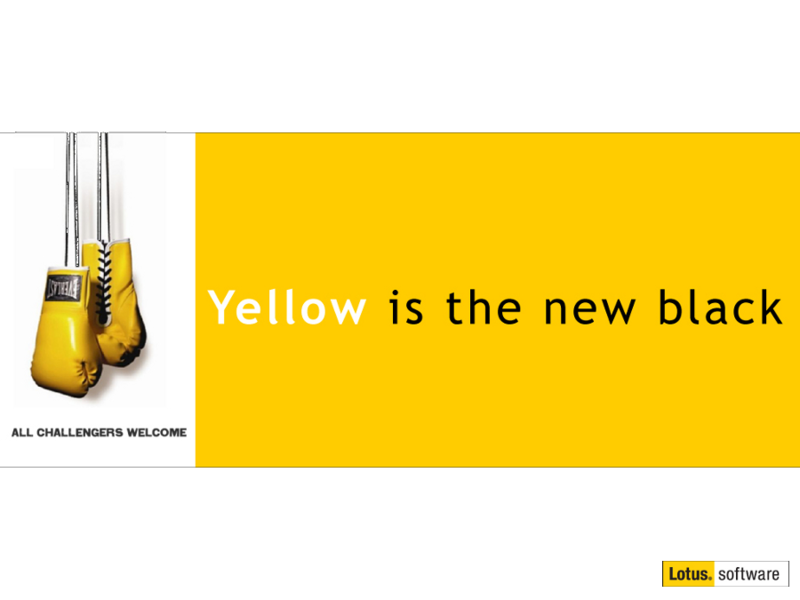 The IBM team triumphed by showing IBM's superior vision, capabilities and deployment flexibility. "Kuala Lumpur, 5 March 2015 — The Sunway Group (listed as “Sunway Berhad” on Bursa Malaysia) today announced that it is working with IBM (NYSE: IBM) to deploy IBM Connections Cloud to transform its IT and business infrastructure. IBM Connections Cloud provides an intuitive set of cloud-delivered online technologies for businesses that combine social networking and online collaboration, messaging, and web conference tools to support Sunway Group’s 12 business divisions across 50 locations worldwide. Sunway Group’s President, Dato' Chew Chee Kin said that the key driver for the Group’s multi-million ringgit investment decision is to support its 13,000 employees via an ICT business transformation endeavour. 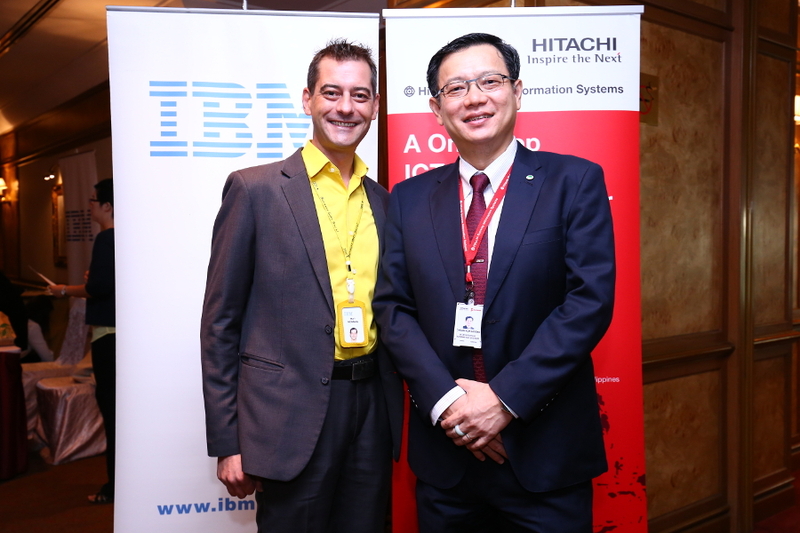 Sunway’s deployment of IBM Connections Cloud will be implemented by Hitachi Sunway Information Systems Sdn. Bhd (“Hitachi Sunway”), a joint venture (JV) company of Hitachi Systems, Ltd. and Sunway Technology Sdn Bhd. Hitachi Sunway is a leading IT services and solutions provider in Southeast Asia. Sunway Group will enjoy greater innovationwith IBM Connections Cloud as it is designed to give companies the ability to collaborate and easily work with others inside and outside the firewall. Furthermore, IBM collaboration solutions combine social networking, messaging and web conference tools that help simplify sharing of content in daily business interactions among its employees worldwide. “As our employees and customers become more mobile- and social-driven, this major ICT upgrade will ensure that Sunway is at par with technology advancements for rapid business growth support, and to transform Sunway to be a social-savvy digital enterprise.” said Dato' Chew Chee Kin. “The IBM Connections Cloud facilitates the conglomerate with an extensive productivity platform to be more ‘in-tune’ with business dynamism, as well as social requirements in the daily interactions with customers, partners and colleagues,” he said. “In short, this Cloud investment by Sunway will enable it to more seamlessly integrate ICT to effectively support and expedite Big Data interactions with its thousands of connections within its large business ecosystem,” said Cheah. “Enterprises see the value of cloud but face a unique set of challenges around reliability, standards, security, and control in truly extending the use of cloud beyond IT. IBM Connections Cloud, with its enterprise grade security and control; deepens customer relationships, increases effectiveness, and optimize workforces. We are excited to work with the Sunway Group and help them achieve their business goals and aspirations,” said Paul Moung, Managing Director, IBM Malaysia. Since its inception in 1974, Sunway Group has grown exponentially from a tiny tin-mining company to become one of Malaysia’s largest and most respected conglomerates with the establishment of 12 businesses in 50 locations worldwide. Community building, enriching lives, and entrepreneurship remain Sunway’s principal tenets as the group continues to transform lives through its core businesses of Property, Construction, and synergistic businesses of Hospitality, Retail, Leisure, Commercial, Trading & Manufacturing, Building Materials, Quarrying, Healthcare, Education and Real Estate Investment Trust (REIT). Underscoring its deep commitment to sustain the communities it builds, Sunway Group supports its communities with its social responsibility endeavours of far-reaching impact championed by Education, Healthcare and Community Aid, Reach-out and Enrichment (C.A.R.E.) programmes. Established in April 2013, Hitachi Sunway Information Systems is a joint venture (JV) company of Hitachi Systems, Ltd. and Sunway Technology - to provide IT services in Malaysia and Southeast Asia. Its core offerings include applications (ERP, Supply Chain Optimization), engineering solutions (PLM) and infrastructure & managed services (Systems & Storage, End-to-End Virtualization Solutions, Data Management/Storage, High Availability/Disaster Recovery, ITO Managed Services, Infra/Data/Cloud Security, Wireless Network Infra, Data Center Outsourcing & Cloud Services). The company has established partnerships with leading global technologies provider such as Siemens, Autodesk, Spring Technologies, Oracle, Ariba, Netsuite, VMware, Trend Micro, NetApp, Symantec, Dell, Commvault, Citrix, Hitachi Data Systems, e-Lock, HP and IBM. Our list of clientele come from various industries, namely Insurance & Financial Services, Automotive, Manufacturing & Distribution, and Construction & Engineering. Headquarter in Malaysia, we also have offices in Singapore, Thailand, Indonesia, Philippines & Vietnam. For more information, visit www.hitachi-sunway-is.com "
I am extremely grateful that the Sunway team tasked with evaluating in detail their current and future requirements looked beyond the check-boxes in the competing specification sheets and exhaustively compared the actual form and function of the solutions on offer. When an organisation goes to the lengths that Sunway did in comparing the possible, it becomes clear that IBM is the leader in providing a totally integrated and flexible solution. If your organisation is in a similar situation, we would love to discuss the possibilities with you. On days like today ... I really LOVE my job. Proud to be an IBMer! Way to go Mat! Absolutely love the press release. Loved the modernization plan.